Original game, fan disc to launch in March 2013. 5pb. 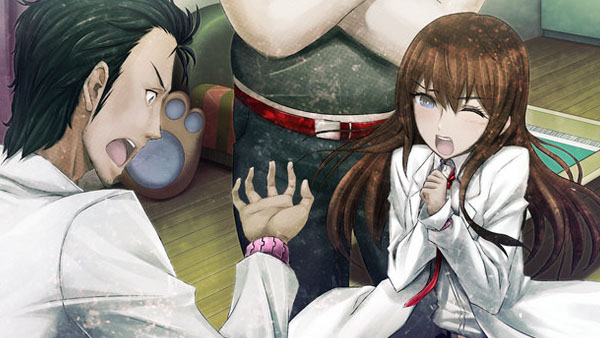 is bringing Steins;Gate and fan disc Steins;Gate: Hiyoku Renri no Darling to PlayStation Vita. Both titles will launch for the Sony handheld on March 14, 2013 for 7,140 yen and 6,090 yen, respectively. A double pack containing both games, a ticket to the spring 2013-due movie Steins;Gate: Fuka Ryoiki no Deja vu, a metal charm, and a secret item to be revealed at a later date, will be released for 10,290 yen. A limited edition version of the double pack will launch for 17,800 yen.